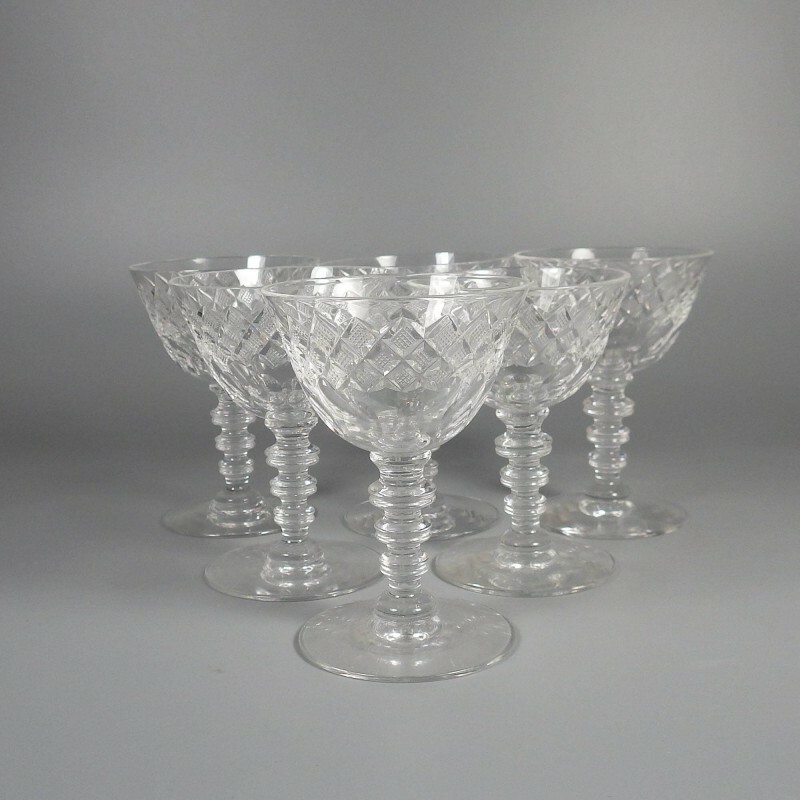 Set of 6 Hawkes cut crystal stems, I believe this stemware is the sherry wine glass in the Munster pattern, on Stem #4074, a size perfect for cordial / liqueur. A band of three offset rows of strawberry diamonds wraps around the upper half of the bowl's flared rim, while a single row of oval thumbprints floats near the bowl base, above the elegant knob stem. Stem stands approx. 4 inch high (with slight variance in height, stem to stem) on a smooth round base; rim diameter just shy of 3 inch. 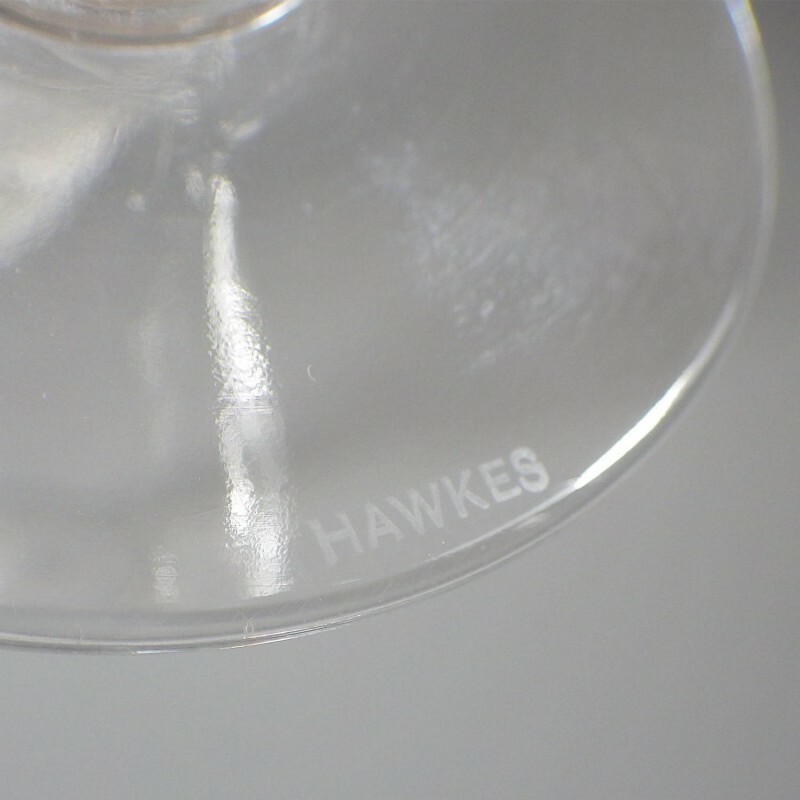 Signed Hawkes in block letters. 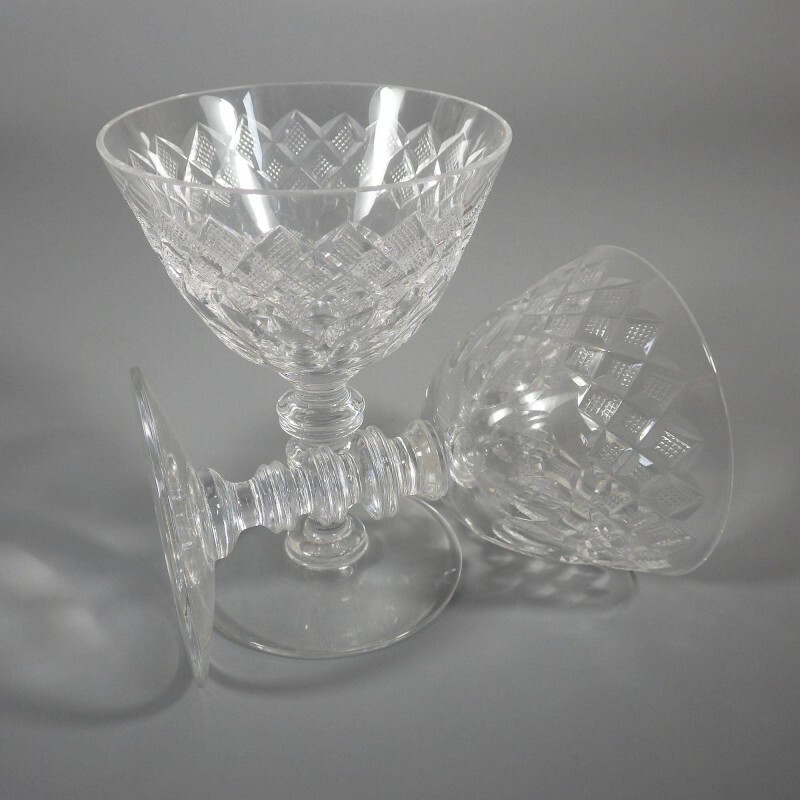 (The etched marking on a couple of the glasses is not readily visible.) 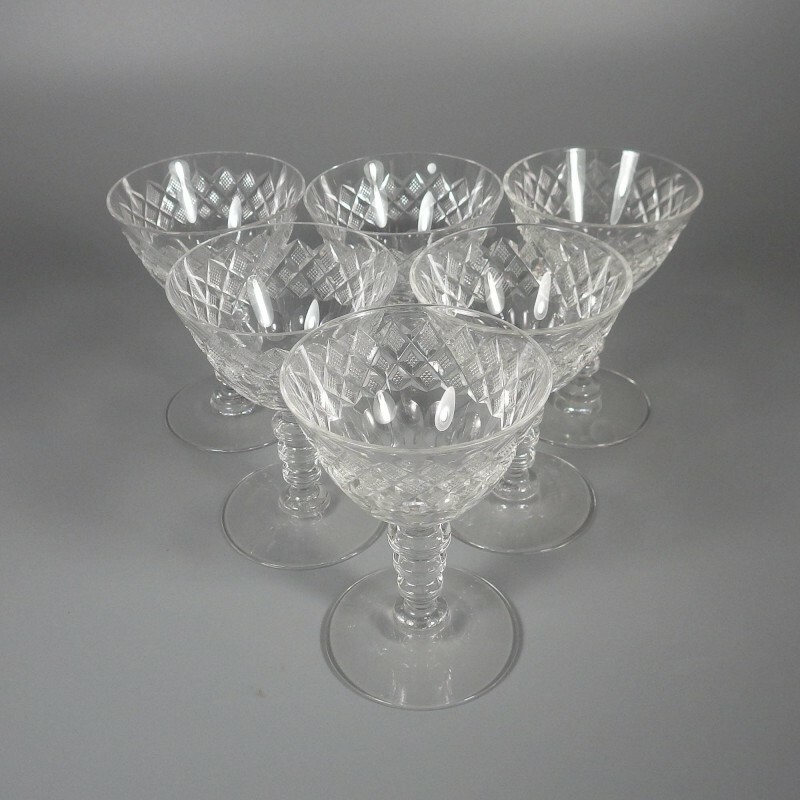 Each stem is in crystal clear, excellent condition, with no nicks, chips, or cracks. For those needing more than 6, please note I have two sets available.